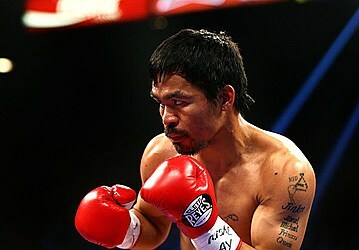 Manny Pacquiao isn't ready to give up his night job just yet. Pacquiao, who said before his last fight in April that he would retire, now plans to return to the ring in November against an opponent who has yet to be selected. Promoter Bob Arum said Tuesday that Pacquiao got permission to take a break from his new duties as a senator in the Philippines to take another fight. It would be held Nov. 5, likely in Las Vegas. Pacquiao looked impressive in his last fight in April, returning from a layoff to knock down Timothy Bradley on his way to a unanimous decision. After the fight he wavered on his previous plans to retire. Arum said a possible opponent for Pacquiao would be Jesse Vargas, who holds a piece of the welterweight title, but lost to Bradley two fights ago.